Whether you are looking for a rock concert, a solo artist or a full orchestral performance you can find them in New York concert halls. See our list of great concert venues in NY where you can spend a night out on the town. Largest Indoor Theater in the World! One of the most well known landmarks of Rockefeller Center is Radio City Music Hall. Now famous as the home of the Radio City Rockettes, this concert hall has played host to famous names in entertainment over the years of its existence. 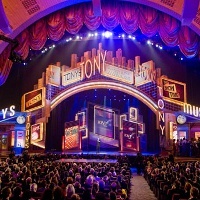 Stars such as Liza Minelli, Tony Bennet, Liberace, Ray Charles, Ella Fitzgerald and Frank Sinatra have graced the Radio City Music Hall stage. There's always an exciting show happening at Radio City. Check their schedule to see which great acts can be seen on the stage during your visit. If you are in the city near Christmas time don't miss the Radio City Music Hall's Christmas Spectacular, their most famous and longest running show. New York's Most Famous Concert Hall! The main auditorium, the Isaac Stern Auditorium, has been host to a myriad of famous talents over its 120 year existence. With seating for 2,804 people and acoustics that are legendary, this concert hall is the perfect place to see a musical performance. 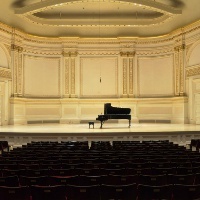 Chamber music, orchestras, pop and Jazz can be regularly enjoyed at this historic NY concert hall. Check the hall's calendar for a list of what's playing during your visit to the city! Great Concert Hall in New York! 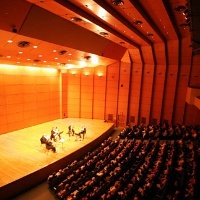 The Merkin Concert Hall in New York, located at Kaufman Center is host to over 200 concerts a year. 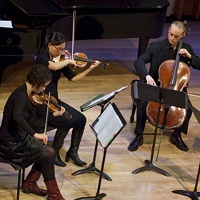 This concert hall has a focus on having a varied program of chamber music, family oriented shows, Broadway style shows and both established and up-and-coming music talent. To help young talent, one Tuesday a month it hosts young artists just starting out in their careers. Its unique architectural design and wonderful acoustics make this 450 seat hall a great place to see shows of all types. See their event schedule to find out what's playing this month! Great Peforming Arts Venues in New York! A wide range of arts performances take place at this New York concert hall, from dance and theater to family entertainment and classical music. With three performance halls, this performing arts center in New York always has something interesting scheduled. Each of the Kupfberg Center's venues offer excellent acoustics and great views from every seat. The Colden Auditorium, the largest of the three venues can seat up to 2,124 people for large concerts of epic proportions. Visit their website for their season's schedule and ticket information! Located on the campus of Brooklyn College this performing arts center has three theaters in which a constantly changing array of musicians, dancers and actors take the stage and delight audiences of all types. In its illustrious history the main theater at the center has played host to such talent as The Beach Boys, Santana, Luciano Pavarotti and Marilyn Horne. This New York concert venue's goal is to bring great entertainment from a variety of backgrounds to audiences at affordable prices. At this arts center you can see a wide mixture of musical performances including jazz, big band, classical orchestral performances, opera and chamber music. In addition to musical entertainment dance, theater and family oriented shows are regularly on stage. Listen to Music as you are Rocked Gently by the River! 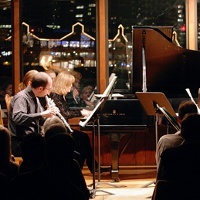 Founded in 1977, this concert hall is unique in that it is located on a barge floating in the East River. This beautiful hall is host to 220 chamber music concerts each year. If you are looking for a unique place in which to hear lovely music, be sure to check this place out. Free concerts for families are offered every Saturday afternoon and the regular performance schedule is made up of a varied group of talented performers playing the music of composers from around the world. Great Concert Hall and Performance Venue! This concert hall has an events schedule filled with vibrant dance shows, ballet performances, classical symphonies, tribute performances, soloists and much more. There is always something entertaining to see at the Lehman Center for the Performing Arts. For over 30 years this theater has been host to a huge variety of performers and has delighted audiences of thousands. State of the art sound and lighting make performances of all sorts a joy to watch and listen to. This 2,310 seat concert hall in NY is also available for rental for your next recital, graduation, conference or fund raiser. Site of the Stony Brook Film Festival! 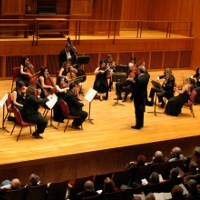 One of NY's premier concert halls and performing arts centers outside of the main city, the Staller Center offers a diverse range of programming to suit the tastes of every kind of audience. From special film screenings and art shows to symphony orchestral performances and children's shows, the events schedule at Staller Center has it all. Site of the Stony Brook Annual Film Festival each year, the main performance hall can seat up to 1000 people and the 40 foot movie screen make it ideal for showing films. Several smaller black box theaters and a recital hall are housed in the center and provide stages and venues for a variety of smaller arts performances. One of the Top Concert Halls in the Area! 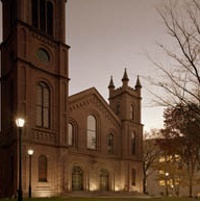 This concert hall, located on the campus of Five Towns College, offers a diverse range of programming to the public. From Broadway musicals and theatrical comedies to children's programs, gospel choirs and chamber orchestras, all can be found in this versatile concert hall. Visit their website for a full listing of what is playing this season! 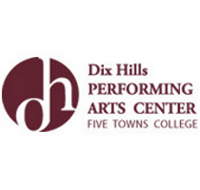 Dix Hills Performing Arts Center is also home to the John Lennon Center for Music & Technology. As such it is dedicated to keeping the work and achievements of Lennon alive and plays host to many Beatles tributes and a special John Lennon birthday celebration each year. A Concert Hall that is Also a Work of Art! 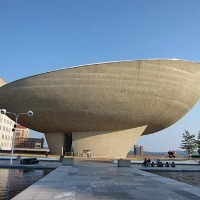 If you are looking for New York concert venues that have state-of-the-art facilities and unforgettable performances, look no further than The Egg. Built in the 1970s this uniquely shaped concert hall has become a landmark in New York's Capital District. This concert hall has two separate theatres for performances of all types, comfortable seating and great sight lines in both theatres make this a wonderful venue. Home to the Ellen Sinopoli Dance Company, this concert hall also hosts a variety of performances from symphony orchestras and chamber music to comedians and rock concerts. Visit their website for a full listing of the many shows hosted at The Egg each month! 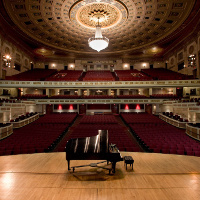 This concert hall regularly hosts performances by the Rochester Philharmonic Orchestra and their guests. Symphonies, chamber music, Jazz, classical, Celtic, soloists, ballet and many more of the performing arts take place in this theater that seats thousands. Recently renovated to improve the acoustics and make the concert-going experience more pleasant, this is a comfortable and impressive theater. See fully staged operatic productions put on by the Eastman Opera Theatre, along with many other ensembles and performances by the Eastman School of Music. With hundreds of shows each year there is always something to see at this NY concert hall. Busy Performance Hall in the Heart of the City! This concert hall and theater in NY is dedicated to offering a diverse range of performing arts and entertainment to the local community while building relationships with both emerging and established performers. 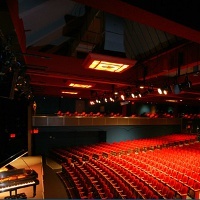 Since the 1970s this performing arts group has been hosting events in its two theaters - the small and intimate Leonard Nimoy Thalia theater with seating for 160, and the larger 760 seat Peter Jay Sharp Theatre. Performances include theater productions, dance performances, musical shows, literature events and much more! With over half a thousand performances each year, Symphony Space is sure to have something that will take your fancy. Great Concert Hall with Performances for the Whole Family! With a goal of offering affordable yet high quality entertainment to the community this arts center hosts hundreds of programs and performances each year. From opera to jazz, dance shows to theater, this concert hall has it all! A range of children's programs is available as well, making this a great New York concert hall for the whole family! 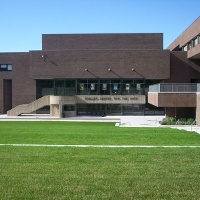 Located on the campus of the College of Staten Island, this concert hall seats up to 911 people and has state of the art theatrical lighting and audio. Each season brings a fresh set of events and programs, check out their website for a listing of what exciting performances are happening this month! Concert Hall Promoting the Arts in Queens! Located in what was formerly the First Reformed Dutch Church of Jamaica, this concert hall in Queens functions as a multi-purpose performance space. 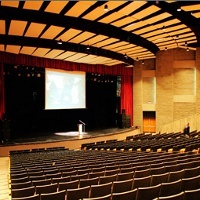 The venue can seat up to 400 people and regularly hosts music concerts, dance performances and theater productions. Dedicated to presenting a variety of art forms and new artistic trends, this New York concert hall and performance space hosts many performances each season. Visit their website for details about what is showing this month!